IWASSA Co.: How close your application whatsapp If your phone is stolen? How close your application whatsapp If your phone is stolen? If any of you exposed to theft or loss of a smart phone, it is natural that Sinzaaj much about data lost. Even if you did not Taataradwa for such a thing to now, You need to know the immediate actions that must be taken if this happens; to prevent data theft, or continue to be a thief with your friends on the sly whatsapp for any purpose. 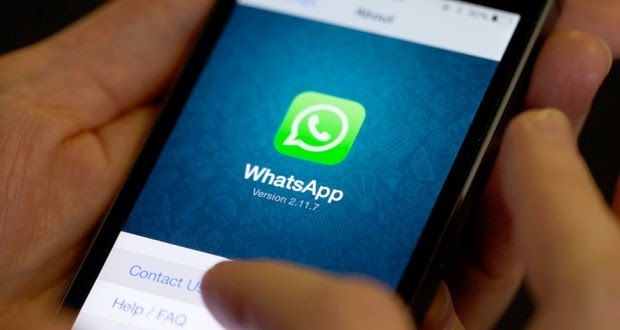 Perhaps not everyone knows that, but offers application and service whatsapp disable accounts if stolen Hoatvkm or in the case of loss, and to prevent anyone else has got on the phone to access messages and contacts. This process involves through just a few steps, but even if it was simple, in the world of technology, we feel that we should put you in into practical application; to know the resources available to have, and do not leave your data at risk. The first step that must be taken if Hoatvkm stolen, or when you ensure it is completely lost, is to contact the company's communications have a telephone number to do to stop it. Then you should communicate with whatsapp request to disable your account, and by e-mail support@whatsapp.com. With this procedure, your account will be banned from the phone. But, what if you want to reactivate it later? Well, if you purchase a new phone, you will be need to re-install the application, and through it you will find procedures reactivate the account. It is important to tell you that the time between the disabled and activate the account must be a maximum of 30 days. In other words to explain this phrase: If you did not re-install the application and reactivate the account during that period, will be permanently deleted from the company's servers. It also must be noted that when retrieving your account, you will not Tstrdoa messages sent by your friends, because whatsapp has no way to restore the old messages.